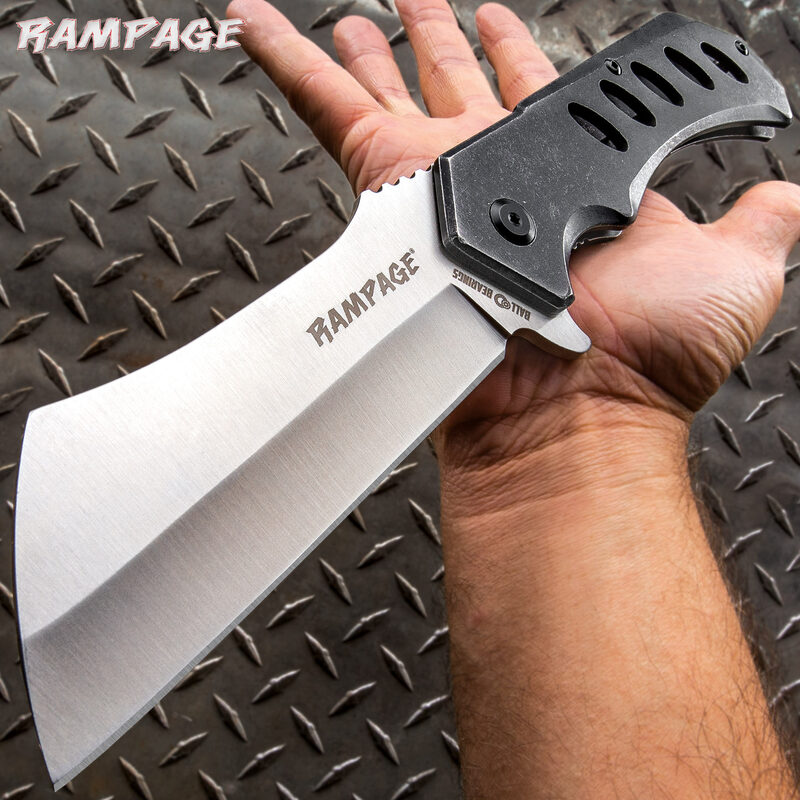 No worries, no cares when you’re holding this cleaver bladed, beast of a pocket knife in your hand! 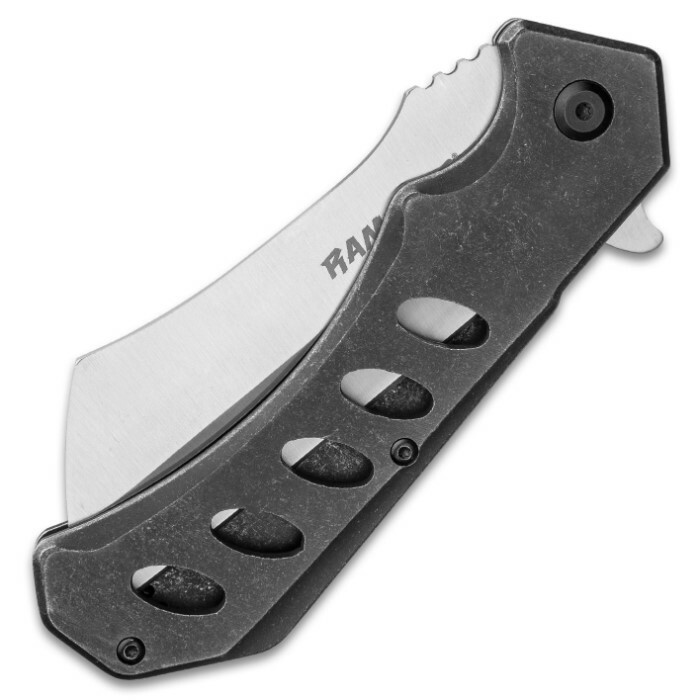 The Stonewashed Cleaver Pocket Knife feels like a beast in your hand! It has a massive overall length of 12” when it’s open and a solid, beefy construction. 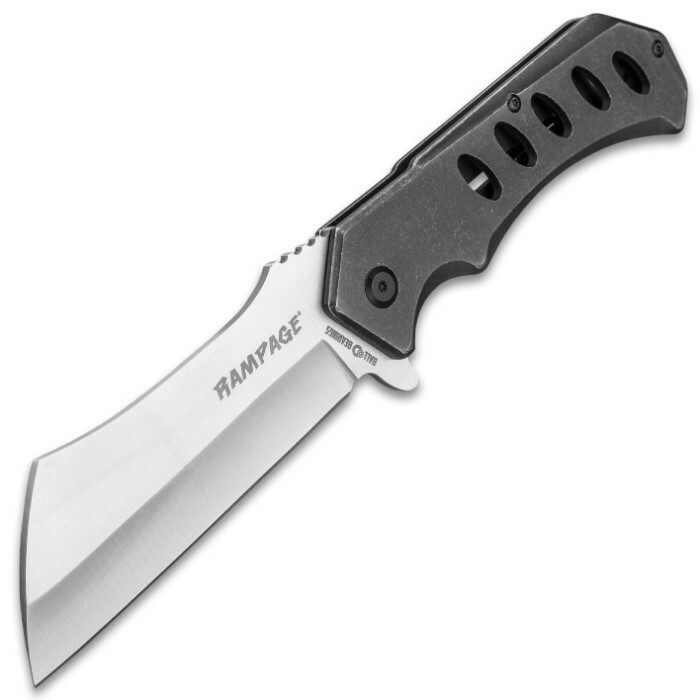 The pocket knife has a hefty 5” cleaver-style stainless steel blade with a satin finish. 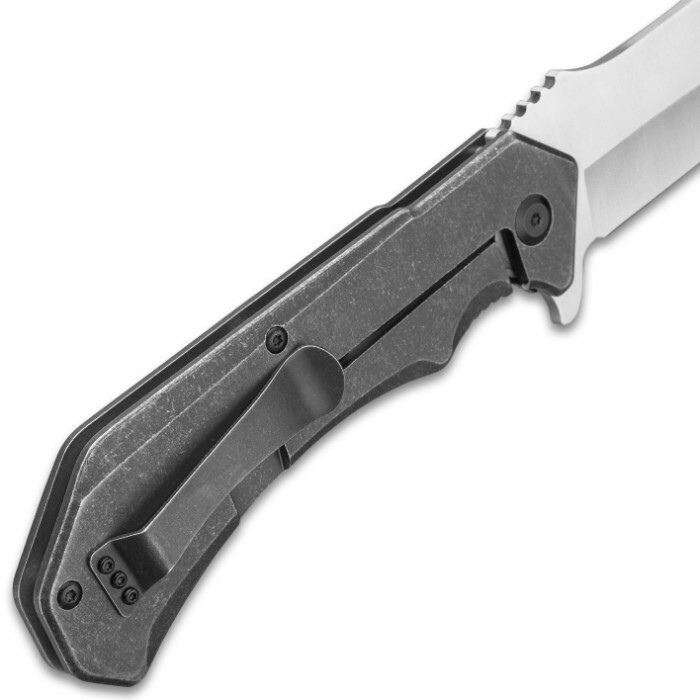 It can be quickly deployed with the ball bearing assisted opening mechanism, using the flipper. 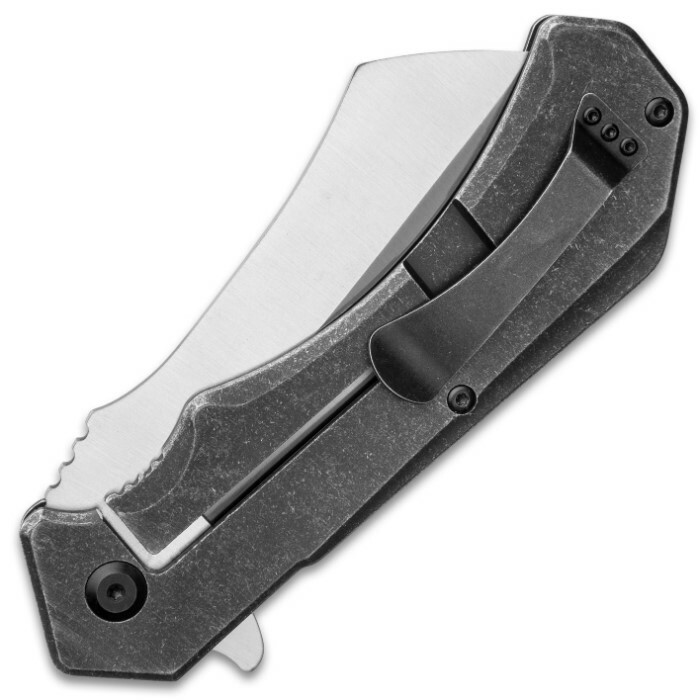 The stonewashed handle is constructed of stainless steel with through holes, to reduce the weight, and a heavy-duty pocket or gear clip.